The federal government is officially opening America's skies to drones. FAA rules for the commercial use of drones go into effect Monday. "It's an important moment," said Brian Wynne, chief executive of the Association for Unmanned Vehicle Systems International. "But it probably won't be like a light switch going on." 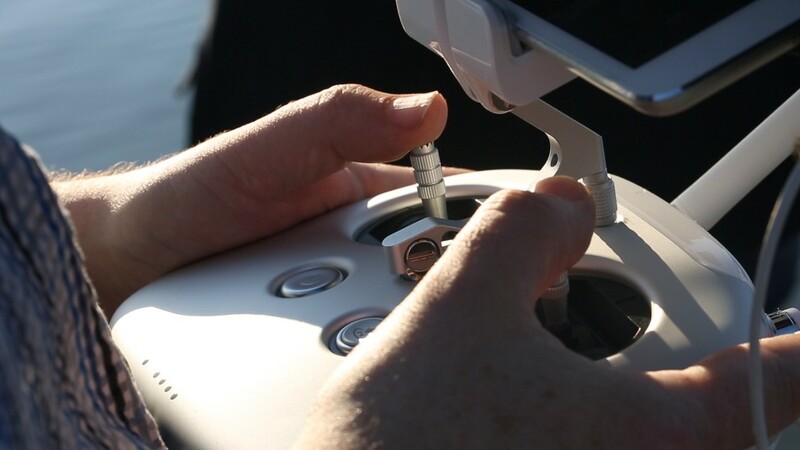 Interested drone pilots must pass an aeronautical exam before they are allowed to fly. The first exam will be available at 8 a.m. Monday morning, which 3,351 people have signed up to take. Drones are appealing because they provide aerial photos and video at a fraction of the cost of traditional methods. Potential uses include crop monitoring, construction site management, search and rescue, surveying, film-making and firefighting. The key rules for businesses are this: Do not fly at night or over anyone not involved in your operation. Drones also may not fly higher than 400 feet, must be under 55 pounds and must remain in the visual sight of a human operator. More than 3,000 businesses have already received a government exemption to fly. The new rules simplify the process of flying legally. Drone operators will no longer need to receive a pilot's license, which has been a point of contention. Getting a pilot's license is expensive and time-intensive, and some of the skills taught aren't applicable to flying a drone. The current rules include limitations that will hamper the arrival of some drone services, such as autonomous delivery. So don't expect companies to be dropping packages in your backyard anytime soon. There is a waiver process for businesses that have their hearts' set on flying at night, over 400 feet or beyond the line of sight of a drone operator. The new drone rules arrived late -- missing a deadline Congress set in 2012, but Wynne said he's seen the FAA adapt to the challenge of regulating the rapidly developing technology. "It's a sea change in mentality inside the FAA to we have to work with industry on this," Wynne said. "It's a change in mentality away from the big hammer FAA to one that recognizes, 'Hey we can't be in all places at all times.'"